At Ridgway Rentals, we think that the Oswestry Advertiser has shown great initiative in creating these awards to reward companies and staff for their efforts and are very proud to sponsor the ‘Contribution to the Community’ category! We believe that it is important for local businesses to give back into the community, we have a strong association with the community of St Martins. Ridgway Group Chairman Tim Jones is proud to support the local school as Chair of Governors and is constantly showing support, recently supporting a road safety campaign and helping return a Mosaic made by school children back in the 60’s. RIDGWAY also sponsor the local football team plus the Village Life Magazine and website in St. Martins along with supporting Oswestry Royal British Legion. We like to support local projects when we can and were very pleased to have been nominated within this very category ourselves! 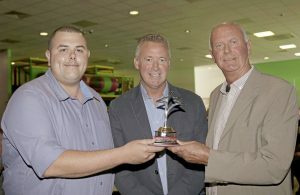 We were delighted to present our award to Stans Superstore, a fellow St. Martins business and well deserved winners! 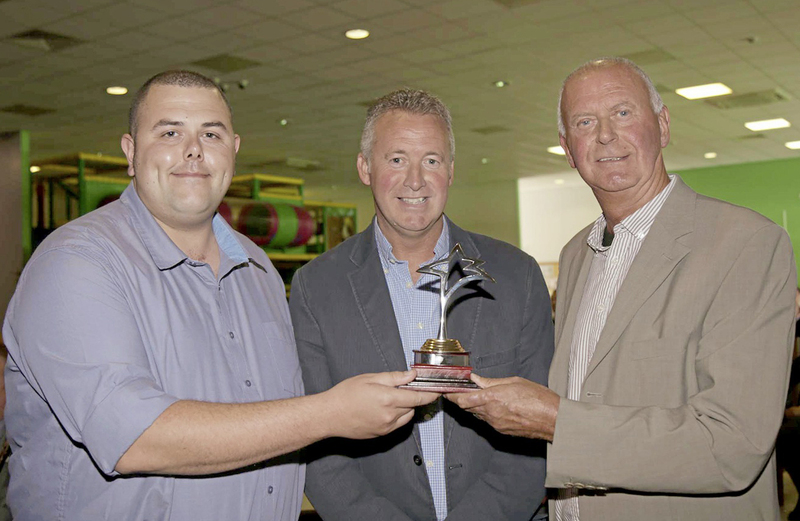 Presented by Wayne Evans from Ridgway Rentals, Andrew Faulks, the grandson of founder Stan, accepted the award along with his father Peter Faulks. The Presentation took place on Sunday 11th June 2017 at The Venue, Park Hall at a presentation day hosted by The Oswestry Advertizer.